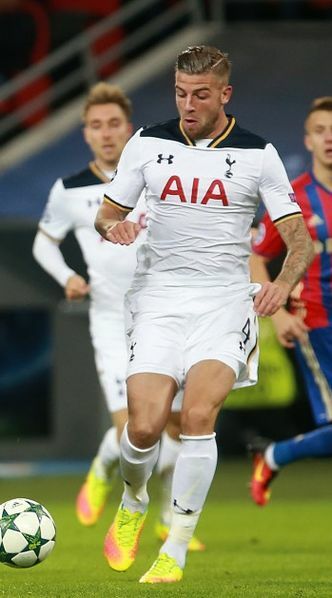 Toby Alderweireld has still not signed a contract extension at Tottenham, leading to concerns he could be approached by other top six clubs. The Sun report that Manchester City are one of the sides who are monitoring the centre-back’s situation, even if he costs as much as £60million. Vincent Kompany’s continued injury problems have left Pep Guardiola with a dilemma at the heart of his defence; during the 5-0 win over Liverpool on Saturday, Nicolas Otamendi had a number of shaky moments in the first half. During the summer, West Brom’s Jonny Evans was targeted, but that deal never materialised. Alderweireld could earn significantly higher wages at the Etihad, but Daniel Levy is reportedly reluctant to give him a new deal because under the terms of his current contract, that would activate a £25million release clause which would be available for a fortnight. Spurs recently broke their club record to bring in Colombian Davinson Sanchez from Ajax, but that is so he can play as part of a back three alongside Alderweireld and Jan Vertonghen. Come on Rodge, why don’t you offer a real “view”?